This is a high quality wire with a high amount of copper strands making it very suitable for RC models and other hobby projects. 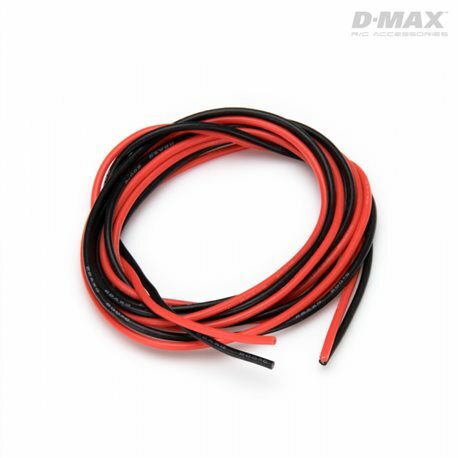 The wire is covered with a silicone based insulation material and together with the high strand count it’s also very flexible. In electric high powered models we are recommending you to use short and as thick wires as possible (within reason) together with a matching diameter/area connector system for optimum performance.